LEWISTON, Idaho – By the end of this year, Idaho could have its second American Viticultural Area – and Washington could have its 14th. The Lewis-Clark Valley was introduced by the federal government last week to begin a 60-day commenting period. The Umikers began working with the owners of Colter’s Creek Vineyard & Winery in 2009 to start the process of establishing the Lewis-Clark Valley AVA. The proposal is not without some controversy, as it would actually shrink the Columbia Valley by about 57,000 acres. The AVA proposal was researched and written by Alan Busacca, a well-known and highly regarded geologist who wrote the successful petitions for the Wahluke Slope and Lake Chelan AVAs in Washington. He’s also been heavily involved in researching soils and vineyard site suitability in the Walla Walla Valley, the Horse Heaven Hills and Red Mountain. Busacca, a retired Washington State University professor, served for a year as director of Walla Walla Community College’s vaunted viticulture and enology program before his position was eliminated as a result of budget cuts. He also co-owns Volcano Ridge Vineyard near The Dalles, Ore. If approved, the Lewis-Clark Valley could go into effect as early as late this year. The region in and around the cities of Lewiston, Idaho, and Clarkston, Wash., has a rich viticultural history that can be traced back to 1872, only a decade after the two cities were established. In fact, the Lewis-Clark Valley had a thriving wine and grape industry until the dark curtain of Prohibition surrounded the nation and brought down the industry for decades. 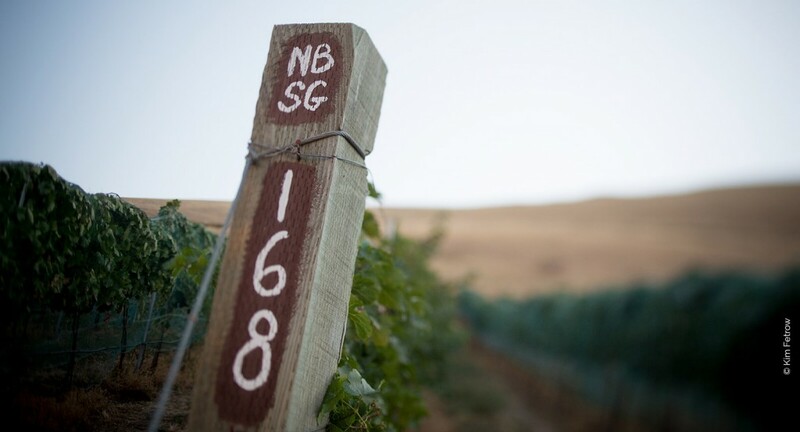 In 1872, Frenchman Louis Delsol planted the first known grapes in the Lewis-Clark Valley and started his winery in the late 1870s in Lewiston. By 1900, he had 80 acres in the ground. According to The Wine Project, a book by Ron Irvine that chronicles the history of the Washington wine industry, another Frenchman, Robert Schleicher, also began planting wine grapes and making wine in the Lewis-Clark Valley and reportedly had quite an operation going in the early 1900s. According to Irvine’s book, he was growing 50 grape varieties, both vinifera and hybrid. In 1972, meteorologist Bob Wing began planting wine grapes in the valley as part of an research project with the University of Idaho. He planted 19 varieties that first year, then the funding ran out. Undeterred, Wing sent his data to Walter Clore at the WSU research station in Prosser, Wash. Clore, hailed as “the father of Washington wine,” showed great interest and ultimately included Wing’s research in The Wine Project, which Clore was conducting in Washington. As proposed, the Lewis-Clark Valley would be 306,659 acres in size, making it smaller than the Horse Heaven Hills, which is 570,000 acres. Of this, 219,838 acres, or 72 percent, would be in Idaho, while the remaining 86,820 acres would be in Washington. The Lewis-Clark Valley is defined in elevation by being below 2,000 meters, and 95 percent of the soil in the proposed AVA is one classification, mollisol. That the soil type is so uniform is unusual, especially for such a large area, according to Busacca. Three main rivers – the Snake, Clearwater and Grande Ronde – flow through the Lewis-Clark Valley. Nearly 100 acres of grapes are being grown in the Lewis-Clark Valley, with the majority on the Idaho side. In all, 23 European wine grape (vinifera) varieties are grown in the Lewis-Clark Valley, and no such grapes are grown immediately adjacent to the proposed AVA. This is a warm area, with an average of 2,825 growing degree days per year. Growing degree days, or GDDs, are a way of measuring just how much heat a region gets. By comparison, Red Mountain in Washington receives an average of 3,119 GDDs, making it the warmest area in Washington. At the Lewiston airport, the GDD number jumps to 3,036, slightly cooler than the Horse Heaven Hills. “This is a region that has all the potential in the world,” Umiker told Great Northwest Wine. The Lewis-Clark Valley receives a mean annual rainfall of 17 inches, ranging from 9 inches near Asotin, Wash., to 25 inches near Orofino, Idaho. It is in the rain shadow of the Blue Mountains, and there are no significant vineyard plantings within 100 miles of the Lewis-Clark Valley. The watershed, geology, geography and climate are all influenced by the Bitterroot Mountains, which are part of the northern Rocky Mountains. The valley and its two main cities get their names from Meriwether Lewis and William Clark, who led the Corps of Discovery from St. Louis to the Pacific Ocean. They famously came through the valley in October 1805 after crossing through the Bitterroot Mountains. This would be Washington’s fourth bi-state AVA, with the other three being the Columbia and Walla Walla valleys and the Columbia Gorge, all of which are shared with Oregon. Overall, it would be Washington’s 14 AVA. The Lewis-Clark Valley would be Idaho’s second bi-state AVA, as the Snake River Valley is shared with Oregon. Perhaps the only controversial part of the Lewis-Clark Valley AVA proposal is the removal of 57,019 acres from the Columbia Valley, which is 11,370,320 acres in size and stretches from Lake Chelan to the Idaho border.The Columbia Valley petition, which was approved as an AVA in 1984, was researched and written by Clore and Wade Wolfe, both of whom worked for Ste. Michelle Wine Estates at the time. Wolfe, who now owns Thurston Wolfe Winery in Prosser with his wife, Becky Yeaman, said he is not concerned with the Columbia Valley being reduced in size by less than 1 percent. “I’m always open to something that makes more sense,” Wolfe said. He said that when he and Clore were researching the proposed Columbia Valley AVA in the late 1970s and early 1980s, they never considered crossing into Idaho and instead made the Snake River the eastern boundary. Wolfe said he was among those suggesting the Columbia Valley be reduced in size so that the Lewis-Clark Valley would not partly overlap with the Columbia Valley. Rick Wasem, owner and winemaker of Basalt Cellars in Clarkston, has concerns. Wasem, who was among the first wineries to help form the Lewis-Clark Valley Alliance, instead would propose extending the Columbia Valley east into Idaho so that the entire Lewis-Clark Valley is within its borders, just as the Walla Walla Valley is in Oregon. Wasem, who owns the only winery on the Washington side of the Lewis-Clark Valley, has 3.5 acres of grapes. Two other vineyards, Arnett in Clarkston and Rock ‘n’ J south of Asotin are the other two Washington plantings in the Lewis-Clark Valley. Rock ‘n’ J, which overlooks the Grande Ronde River, is not in the Columbia Valley. All of the grapes for the 4.5 acre vineyard are sold to Clearwater Canyon Cellars. Jim and Dana Arnett, owners of Arnett Vineyard, wrote a letter of support for the Lewis-Clark Valley petition, including being removed from the Columbia Valley.